Baked is a place that will not be missed on my next trip to New York, which will be in December. But until then, I will be making as many of their recipes as possible. 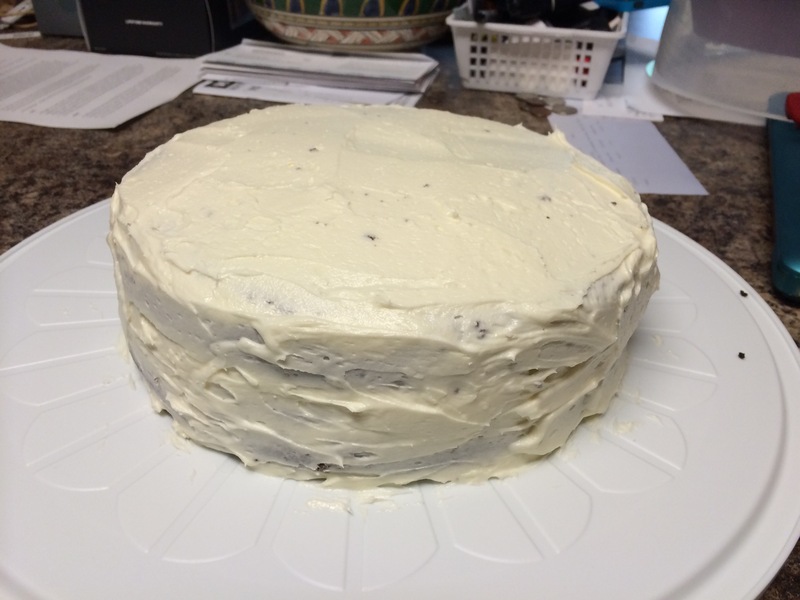 I made this Devil’s Food Cake with Angel Frosting for my husband’s grandmother’s birthday. Alas, it is not completely a Baked recipe. Unfortunately, my attempt at the Angel frosting failed, and due to lack of time, I was unable to try again. Therefore, the icing pictured above and below is a simple vanilla buttercream. However, the cake is unlike any chocolate cake I’ve made before. I had seen coffee as an ingredient in other chocolate cake recipes, but I have always skipped past them. I do not drink coffee, and neither does my husband, so we don’t have any in the house. I was also wary of the notion that putting a cup of coffee would not create a coffee taste, only enhance the chocolate. This is a rare instance that I’m ok with being wrong. I’m not entirely sure that the coffee “brought out the chocolate,” but it did temper the sweetness, which the recipe also mentioned. It gave the chocolate a different depth of flavor than usual, probably especially since it was mixed with dark chocolate and dark cocoa powder for this recipe. 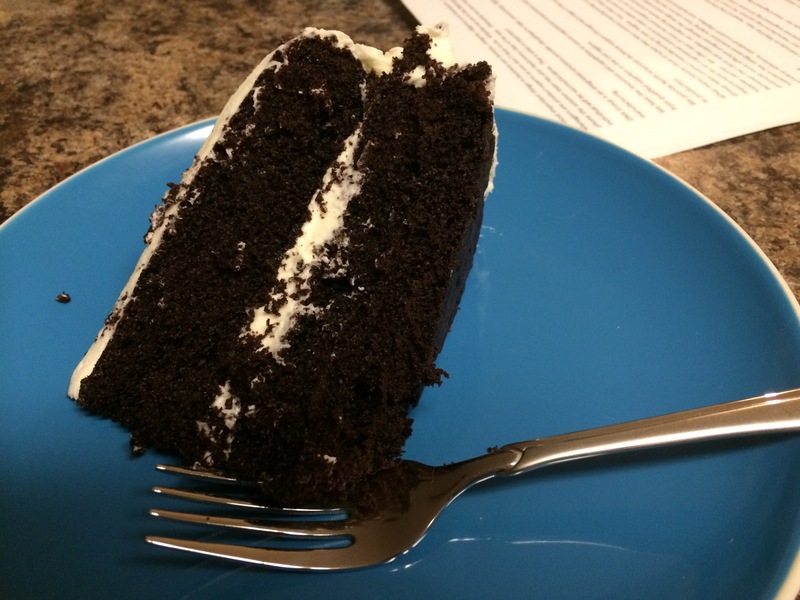 I guarantee that I will make this cake again, not only because it was delicious but also because I absolutely must get that Angel frosting right!